At DT Tyres in Lisburn we’ve got a superb selection of new tyres, including budget, mid-range and premium tyres from all the top brands. All makes and models are covered with our range, and our experienced tyre fitters will make sure you’re safe on the road. EST 1996 : DT Tyres is your local, family-run tyre centre in Lisburn. Established in 1996, DT Tyres is your family run tyre centre in Lisburn which has over 20 years experience in the tyre service industry. At DT Tyres in Lisburn we’ve got a superb selection of new tyres, including budget, mid-range and premium tyres from all the top brands. All makes and models are covered with our range, and our experienced tyre fitters will make sure you’re safe on the road. Whatever make or model your vehicle is, DT Tyres supplies and fits a wide range of tyres for cars, vans, 4x4s and light commercials. 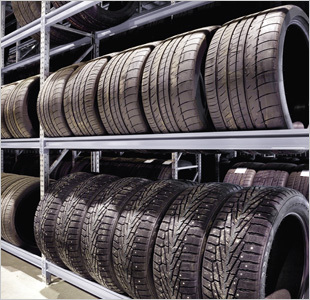 With over 18 years’ experience, we’re the tyre centre you need. 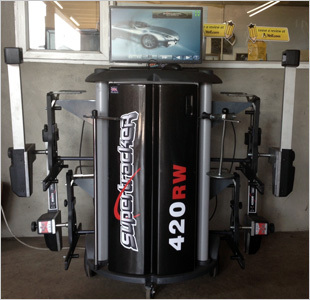 Using state-of-the-art Supertracker digital alignment technology, we’ll ensure your vehicle is more fuel efficient and your tyres don’t wear too quickly. The business owner David, has been riding motorbikes since he was 10 years old, so you can feel assured that your bike is in good hands. 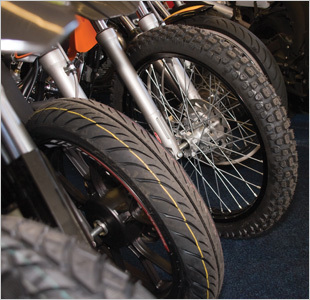 Get free tyre checks for your motorbike at DT Tyres! Visit the DT TYRES garage today or call us today for your FREE quote for new tyres. Call for a FREE QUOTE for your Car, Motorcycle or light Commercial tyre needs.